July | 2015 | ___is black the new black? You double check your source material. You do not add a whole list of people to your tree unless you are very sure. But it’s very hard not to get excited when you are on the brink of solving a huge mystery. I mean, I have been working at this stuff for nearly twenty years and you need to understand–I don’t have the most exciting family to be researching. I have friends who can go back centuries and connect themselves to royalty. Don’t get me wrong. I love my family, but they were poor people. In some cases poor and hardworking and in other cases poor and somewhat dishonest (some day I’ll post all the many many news articles about my paternal grandfather’s gin-running past that I turned up). The point is that when I can find information–any information–I tend to get very excited about it. Ignore the stuff about Celia and her children. Right now she’s a brick wall person. I have no clue what her married name was and I may never know. 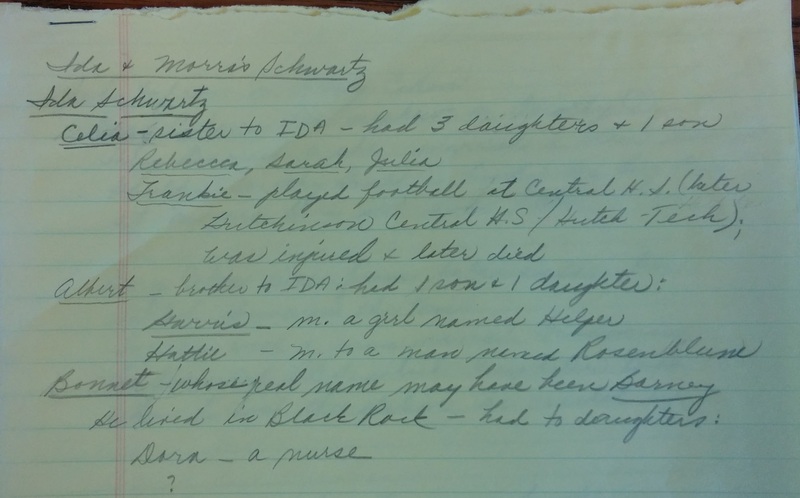 The important part is this Albert guy (elsewhere in other places in the aforementioned notes as “Abraham” — Grandma Jennie was up there in years when Mom was asking all these questions). So I found a bunch of stuff. Ethel, David, Nathan, Goldie, Dorothy, Samuel, and Herman. With an unnamed second wife, he had Dora. Ancestry.com Researcher #2 – was much more satisfactory. He got very excited by the possibility of there being a connection. But he also had Bennett having a brother named Abe (the researcher’s ancestor): with children named David, Dora, Hattie, and Harry. 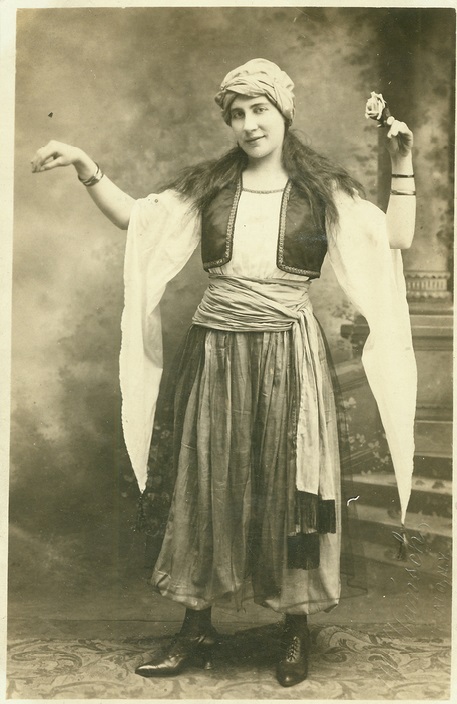 Hattie married a man named Benjamin Rosenblum. And they lived in North Tonawanda. Armed with all of this I began my own research. While Bennett Schwartz never worked for City Hall as my mom had in her notes, he did, in fact, live in Black Rock. Pearl Essrow was his second wife. Ancestry.com Researcher #2 looked over my photos and identified the location and also the people in the photo as Goldie and Hattie Schwartz. We both did a lot of research–and then I found two last pieces of information that I considered to be the clinchers. 1. I found Bennett and Pearl Schwartz’s tombstones and had the Hebrew translated. His father is listed as being Moses or Moshe. Same as on Ida Schwartz’s tombstone. 2. A cousin from another branch of my family with access to one of the newspaper sites was able to help me out and sent me this article about the out-of-town attendees for Meyer Zafron’s funeral. Meyer being Grandma Jennie’s husband (the one with the somewhat dodgy past from Prohibition). Given that Meyer Zafron died in Salamanca, NY and was buried in Olean, NY, both a haul in those days from Buffalo/North Tonawanda. I am inclined to believe that Bennett and Pearl Schwartz making it all the way there for the funeral was significant. And that, dear reader, is how I cleared up a whole mess of brick wall ancestors. I had been taking a break from genealogy. After a while you hit walls. Names begin to swim together. Dates become confused. Or at least this is how it works for me. But now I pulled my notes out and started looking into it again. A couple of things had improved for me. The Old Fulton NY site had started indexing Buffalo newspapers for one. It’s got a horrible search interface, but I slogged through and began to clear up some mysteries. On my mom’s side, I was even able to clear away a whole mess of people who it turned out we had no connection to. And on my dad’s I began to strike pay dirt. His grandfather had a sister named Celia and I’d been working on and off with a couple of her descendants. We found obits and marriage announcements and began to figure out what was accurate and what the census takers had gotten wrong. In order to answer a few more questions, at a certain point, not that long ago, I ended up becoming a member of this large park-like cemetery in the center of my city so that I could look up their records online. There were still a few large puzzles. I tried once again to figure out what had become of the elusive Uncle Bonnet and his daughters, Goldie, Ethel, and Dora. And I focused on my Grandma Jennie’s brothers. There were three: Abraham (Abbie), Nathan, and Lewis Schwartz. The only one I really knew anything about was Lewis and what little I had was sparse. Most importantly I started looking at my source material with a fresh eye again (I am still doing this). Transcription mistakes were corrected and I began taking trips out to local cemeteries to take photos of graves. In addition to using the dates, I put them up on Find a Grave. Mother’s day this year. It was rainy and windy, but I trooped out to the big cemetery again to look for the graves of some first cousins. It was nasty and miserable—you really start to rethink things when you’re on an exposed hill when there is lightning in the distance—but I finally found my people. I got what I came for and began heading for the car. And then opposite to where I had been, I saw a tombstone for Nathan Schwartz. Not daring to get my hopes up, I decided to take a picture. Worst case scenario, I’d put him up on Find A Grave—somewhere, someone would be looking for him. When I got home, I pulled up his burial permit on the cemetery site and sighed. He was not my great uncle. Rather he was the child of a Bennett Schwartz and a Rose Feldman. I’m a librarian and I had this information so I put it all up on Find a Grave and then because I was feeling generous, I thought, let’s see if anyone has either this Nathan and/or his parents on Ancestry.com. I would pay it forward. When I was a kid, we’d go visit my father’s mother. I don’t remember a lot of these visits—flashes stick out at me. My Great Aunt Molly made me matzo ball soup once and I seem to recall her breakfront vividly (yeah, I have no idea why that would strike a 3 or 4-year-old as noteworthy either). Later when my Grandma Jennie and her sister, my Great Aunt Kate, had moved into the same city where we were, I remember going to visit them regularly. They also made matzo ball soup, which tasted radically different from Mom’s. My mom’s matzo balls were lighter than feathers. Grandma’s were what Dad called “sinkers,” but I loved it just the same. Sometimes they gave me things. I still have these tiny little Japanese figurines they presented me with. The Wilardy purse they gifted me with melted in the attic—now that I know they once had a hat shop, I wonder if this was leftover stock. Time passed. My grandmother died. But at some point either when I was in college or a few years after, I became interested in taking up where my mom left off. I made a lot of mistakes, many in fact, and other than trying to organize things a bit better, I was largely stumped. I connected at some point with one of my dad’s cousins through his father, who could answer a few questions, but there were big mysteries. A major one being Uncle Bonnet, who was my great grandmother Ida’s brother. 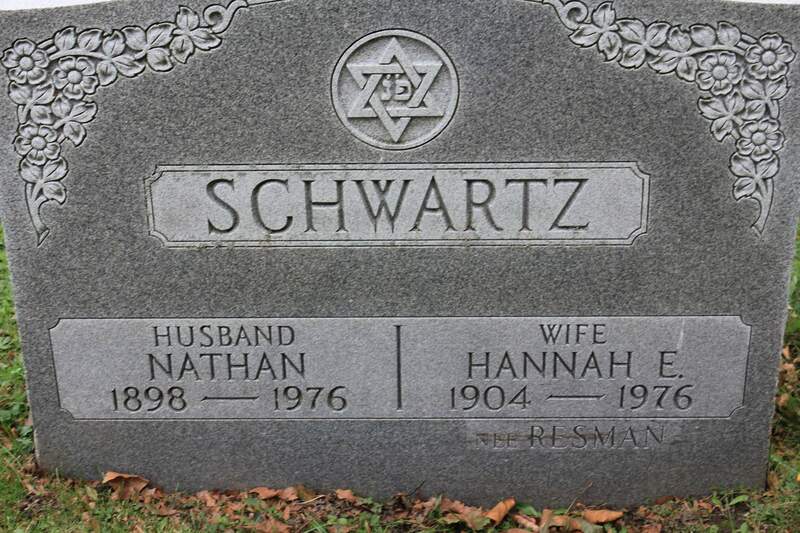 Her maiden name was Schwartz (although Mom had it down with multiple variants), which was the same as her husband’s. We knew these things: Bonnet Schwartz had lived in Black Rock at one point. His name may or may not have been called Barney. He had married a woman named Rose Feldman and he had at least four kids: an unnamed son and three daughters named: Ethel, Dora, who may have been a nurse, and Goldie. Later they all moved to North Tonawanda. And for years, I looked and looked to no avail. Even when I started to know what I was doing, I had never had any luck. Until a month or so ago.